Jennifer Fox Swain | Littler Mendelson P.C. Jennifer F. Swain represents management in a broad range of employment matters, including litigation in state and federal courts, as well as before arbitrators, the Department of Labor, the Equal Employment Opportunity Commission and numerous other state and federal agencies. 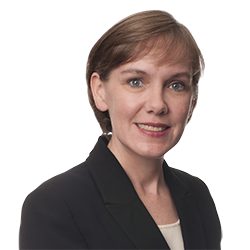 Jennifer regularly advises employers on issues relating to compliance with various employment discrimination statutes, rules and regulations and counsels employers on day-to-day personnel issues. She also assists employers with the development, drafting, implementation and enforcement of workplace policies and procedures, including mandatory arbitration programs.